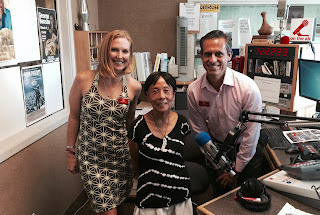 Team Lally had a wonderful and lively time with Julia Estrella, author of the book, "Being Local in Hawaii". Julia shared her vision of being healthy in mind, body and spirit to live to be 128 years old. Aside from this vision, Adrienne and Attilio also talked about Real Estate, Open Houses and words to live by. 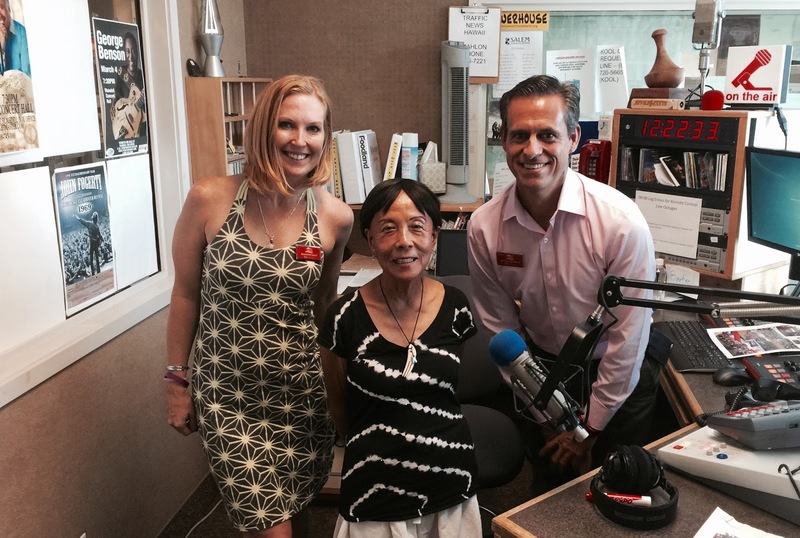 Julia Estrella, author of the book- Being Local in Hawaii, is a multicultural woman who tells a fascinating story about her diverse life in Being Local in Hawaii. Julia not only tells her story but those many diverse stories she shares with all the people she has met, known, and advocated for. Talking story for Julia is a term that means not just telling stories, but telling stories that will enrich our lives, enlighten us, make us wiser and better people, and call upon us to do more to make the world a better place. Her book is available at Native Books, The Ward Center, Okinawan Cultural Center and The Japanese Cultural Center Giftshop as well as online at her website.